Designed to fit inside our 12in. and 16in. deep drawers. 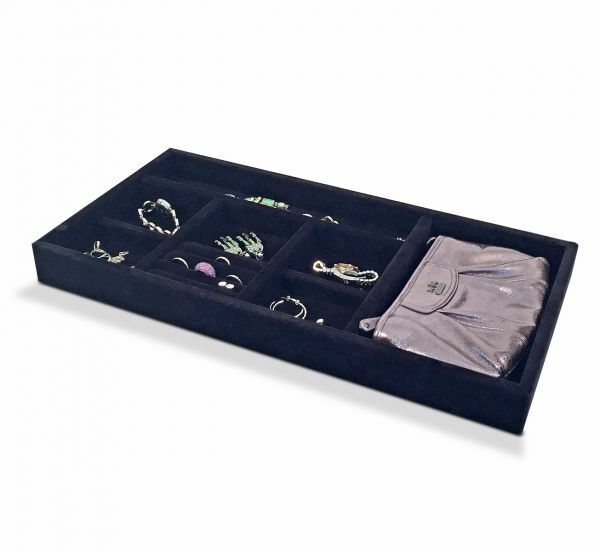 The Jewelry Tray is the ultimate storage solution for your rings, bracelets, necklaces, earrings and more. 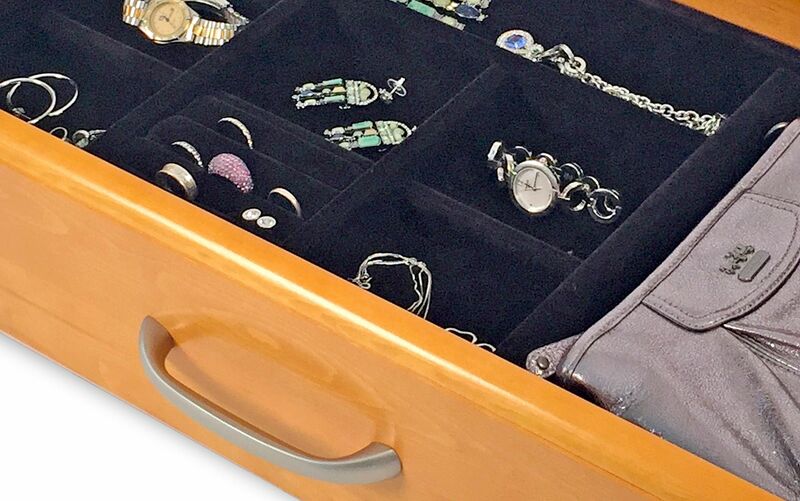 Finally all your jewelry displayed and organized in one place! One 14" x 2.5" (12in. 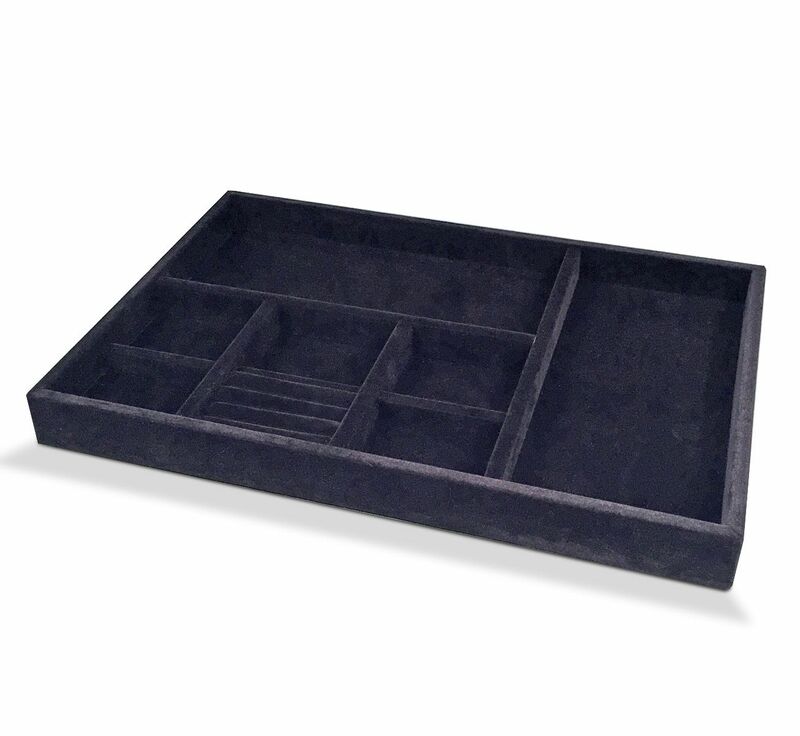 drawer) or 14" x 6.5" (1`6in. drawer) compartment. One 6.5" x 10" (12in. drawer) or 6.5" x 14" (16in. drawer) compartment.